At Aristata, functionality is one of our main goals. We design landscapes to be lived in and bring the joy of discovery, abundance and peace. Planting plants that matter, is what matters the most to us. We use permaculture and xeriscape principles, preferring easy to care for, drought tolerant plants. Providing food for ourselves, birds and pollinators is rewarding, fun and also really important for our future. We aim for 50-75% native, edible, and pollinator friendly plants in each design. We LOVE building small structures in the garden. Raised beds, planters, pergolas, fruit and vining structures, compost bins, trash huts and custom fencing are our speciality. 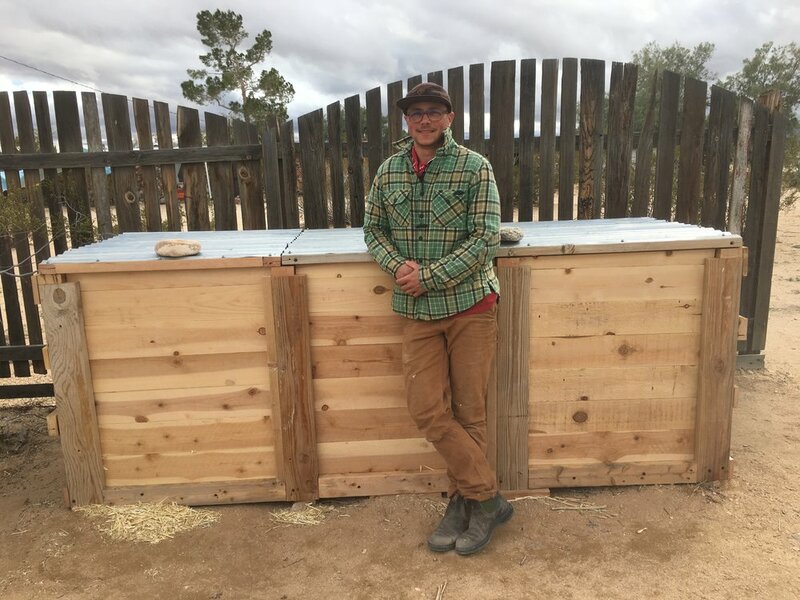 We build with local and sustainable juniper, cedar, steel, and corrugated metal. One of the most important considerations in designing these features is to produce and magnify the ethereal feelings of being outdoors in a built environment. I have been working in the landscape industry since 2002. My passion for Landscape Design and plants started with a tree pruning job at a Japanese Spa in Santa Fe, NM many years ago. I moved to Portland in 2005 and soon thereafter started my own Landscape Contracting business. I have a Bachelor of Science degree from Humboldt State University, a Landscape Technology certificate from PCC, and a Permaculture Design Certificate from OSU. Landscapes have been my inspiration for as long as I can remember. Being outside, staring into distant horizons and watching time and light pass by is my favorite place to be. My interest in landscaping is to bring this larger feeling down to an urban scale where it can be enjoyed at home, every day, by everyone. Traveling, meditating and being OUT OF DOORS are my design inspirations for Aristata Land Arts.